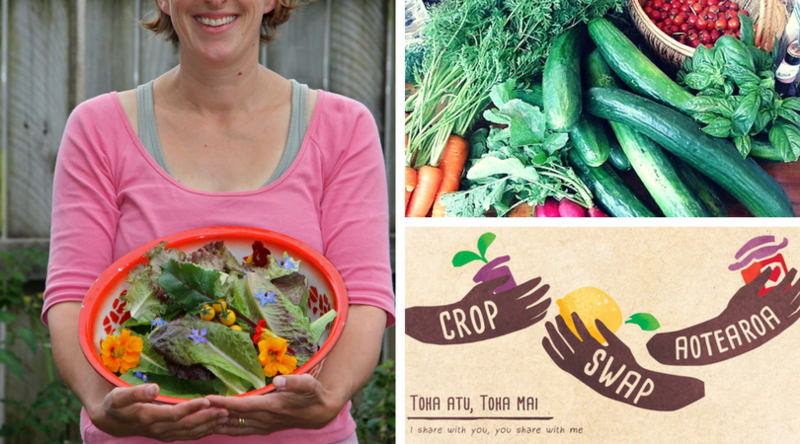 Franziska von Hunerbein is responsible for bringing the magical Crop Swap to Aotearoa. Since the first crop swap gathering that she launched at her own home in Taranaki, there are now over 10 crop swaps across the Taranaki region alone, and the movement is gaining momentum across the country. Crop Swap is about individuals in communities getting together to share amongst themselves any produce, seedlings, or other goodies they’ve had a hand in creating, without the exchange of money. In this podcast, Franziska chats with us about what Crop Swap is and how this simple yet beautiful system can enrich neighbourhoods and communities well beyond the food and produce shared. Want to know more about Crop Swap? Check out this short video here or visit the Crop Swap Taranaki Facebook page. If you’d like to find the Crop Swap nearest to you, go to Crop Swap Aotearoa’s website and click on “Find a Crop Swap”. I just wanted to share with others if you’re thinking of starting a Crop Swap, go for it! It’s very easy to do. Franziska is so helpful and the idea is truly wonderful. We are connected even though we’ve never met, united through the idea of sharing and community. Thank you both also for your valuable work in the NZ community, you guys are doing a great job! All the best and hope that the crop swap is still going well!